2.0.2.0.1 MOVING EYES & HEAD PLUS MOVING BROWS! NEW! Original Mortimer Snerd Dolls for SALE! Limited Stock! 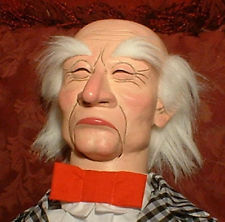 The Mortimer Snerd doll is based on one of many characters created by Edgar Bergen. 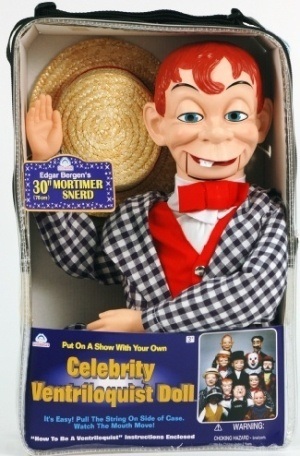 While his most famous character was easily Charlie McCarthy, Mortimer Snerd ranks a close second. He even co-starred in a number of feature films along with Bergen and McCarthy in the 30s. Mortimer Snerd was created in 1938 on a radio show, The Chase and Sanborne Hour. He was played as a naive, likeable hick with a slow drawl. The character of Mortimer Snerd is innocent, a bit goofy, a little slow, but charming. He always beats the slicker, more educated folks in the end. When it came time to make a Mortimer Snerd ventriloquist doll he was given cheap checkered suit to play against Bergen and McCarthy’s slick suits and tails. He was given a dopey expression, an overbite with buck teeth, droopy eyes, and rosy cheeks. 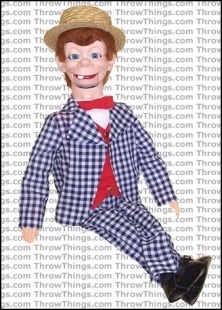 The Mortimer Snerd doll for sale is about 30” long. He’s dressed in a blue checkered suit, matching one of his more regular outfits. 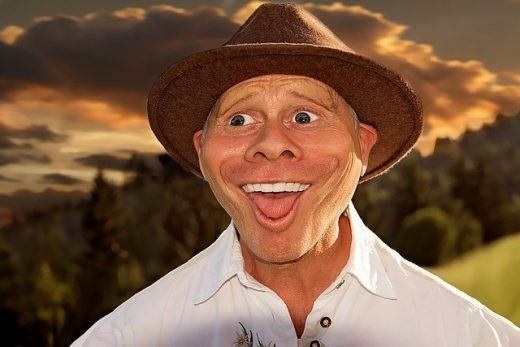 He features the same straw hat he sported on TV and in the movies with the same dopey expression on his face. 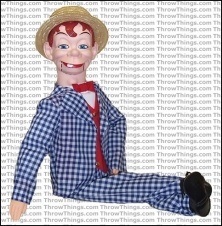 The Basic Mortimer Snerd doll is mostly fabric and plastic. His mouth is operated by a pull-string on the back of his head. You can’t stick your hand in his back, so you have to hold the back of his head with your hand. There’s no other points of movement on him. We recommend Basic Upgrade for beginners and kids! And for professional ventriloquism above Standard Upgrade. With his slow-witted charm, Basic Mortimer Snerd makes a pretty good character for kids. Not just because he’s age-appropriate, but because they’ll find his type of humor pretty easy to grasp. It won’t take them much time to start making routines with him. 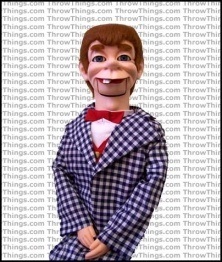 Unfortunately the Basic Mortimer Snerd doll isn’t the best ventriloquist doll around. He’s very simple, and his plastic mouth can be difficult to operate at times. It has a tendency to get stuck open and need you to close it yourself. For kids just starting out with a basic interest in ventriloquism this won’t be a problem. For any amateur or semi-pro looking to add this classic character to their repertoire we recommend above Standard upgrade! Is he good for anything? Absolutely. Like most of the dolls in this particular line, the Mortimer Snerd doll makes a pretty good display. He’s big, well-dressed, well-painted, and light. Bring back some fond memories, start a conversation piece, or just grow a collection of display dolls of famous ventriloquism characters. He’s nice and light — under three pounds — and made of soft material. He won’t break you, himself, or anything around if he falls. His head might pop off, but it goes back on easily enough. The Basic Mortimer Snerd doll for sale comes with a handy bag to pack and transport him in. He also comes with a beginner’s guide to ventriloquism, which might not be much use considering his usefulness as a ventriloquist doll. It will at least delight, educate, and entertain kids, though, so if you’re out for a Christmas present this year for a small relative, this one might be for you. 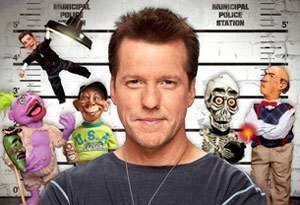 What makes famous ventriloquist Jeff Dunham one of the best ventriloquists in the world?